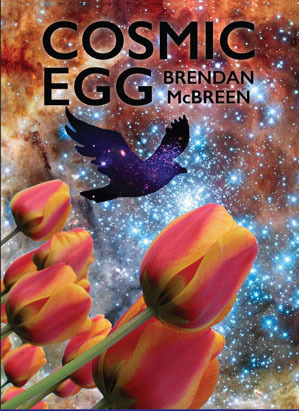 Cosmic Egg by Brendan McBreen (MoonPath Press, 2017) is a universe in a book. and flickering, often times outrageous, funny and insightful. and life experience in whimsical harmony. savored; most are short, sparely word gems loaded with impact, a la Kay Ryan. intensely personal. A unique wit and wry sense of humor run throughout, too. All in all, this is a beautiful collection…highly recommended. coordinator with Auburn AugustFest and the Poetry at the Rainbow Caféreading and . open-mic series. He is a former coordinator of the August Poetry Postcard Project. artist, an occasional cartoonist and sometimes still paints.